Maryland State Police are investigating a local police department after an audit found it failed to keep adequate training records on its officers and hired officers who were not recommended — including one who failed a psychological exam and another with 12 traffic citations who repeatedly failed to show up for court hearings — according to a report obtained by the News4 I-Team. 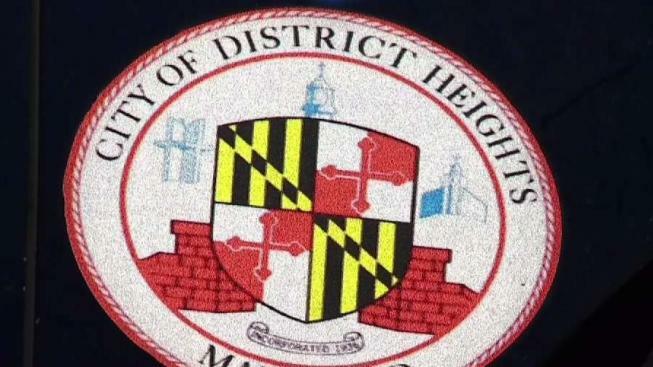 The report, issued by compliance officers for Maryland's Police and Correctional Training Commission, noted more than two dozen deficiencies within the District Heights Police Department after an investigation into its training records and hiring practices. The department is comprised of 10 officers besides the police chief; six are mentioned by name in the report as having deficiencies in their records or the background process. One officer admitted during a polygraph that he had been disqualified from eight other police agencies prior to being hired in District Heights. The report says a psychologist recommended the department not hire the officer, however the officer appealed that determination and Chief Elliott Gibson Sr. later recommended him to Mayor Eddie Martin for hiring. During a phone interview with News4, Gibson said that the same officer had "a couple of positive psychological evaluations." "There was an initial evaluation on the officer that was not favorable to the officer, however, the Training Commission provided that you may get a second opinion and we did that," Gibson said. "The report just came back; it was just awful. I couldn't believe some of the things that were in it," Martin said. Another officer was not recommended as being able to perform the duties of the police officer, and, according to the report, there is no documentation in his file as to why he was hired anyway. The investigators noted that "at a minimum this case should have been referred to the Training Commission for approval before hiring." A third officer named in the report had 12 traffic citations on his driving record between 2008 and 2017 and failed to appear in court five times, with five instances of his license being suspended. According to the report, the officer's license was suspended four months before he was hired. The report says his case should have been referred to the Police Training Commission before hiring. A fourth officer showed a "significant response" on a polygraph exam and, according to the report, his file noted he admitted using marijuana two weeks prior to the exam. When state investigators questioned him, he admitted "being around someone smoking marijuana." The investigators wrote, "If a decision were made to hire the officer regardless of the exam results, it should have been sent to the Training Commission for review." The report also notes the District Heights Police Department failed to keep adequate training records for its officers. The investigators noted, "There is no documentation regarding what classes were taught or verification that officers were in attendance." Employing agencies are required to maintain such records. When asked what classes were covered in the in-service training sessions, investigators noted that "staff did not know." The investigators noted, "It is the responsibility of the employing agency to ensure their officers receive required training." Each law enforcement agency is also required to maintain records of firearms training and qualification for each of its officers, however the investigators noted that records of firearms classroom tests, sign-in sheets and [shooting] range qualification sheets were not available for review. Gibson said the department has since located and provided all of the documentation the Training Commission said should have been on site. "It's my opinion that [the report] does not even come close to reflecting the kinds of employees the city of District Heights hires. Clearly, we have made some decisions after the audit that will allow us to proceed in a positive way as a result of learning about some procedural things that the police department could do better in its background procedures," Gibson said. In May, eight of the 10 police District Heights officers signed a letter addressed to the mayor and commissioners expressing concern about their chief. "We have lost all trust, faith, and confidence in Chief Elliott Gibson Sr.'s ability to lead this department," they wrote. The two-page letter requested that the chief be relieved of his duties saying his "inaction to resolve problems within the agency continues to jeopardize the safety of the entire District Heights community." "I just would ask you if you really want to know what the chief has been doing, talk to our residents and talk to our other elected officials, not the mayor," Gibson told News4. Officers told the I-Team the city took no action against the chief. Maryland State Police confirmed to News4 on Thursday it has opened an administrative investigation into the District Heights Police Department. Martin said he would call an emergency closed-door meeting to discuss the investigation. News4's Jackie Bensen contributed to this report.